full range of functional that is required to conduct an ICO. 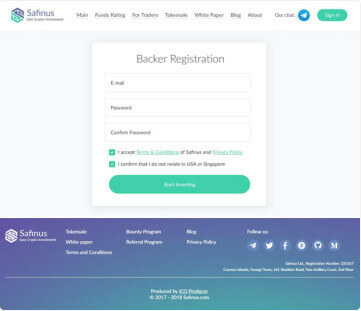 In order to be able to purchase tokens, investors need to register. 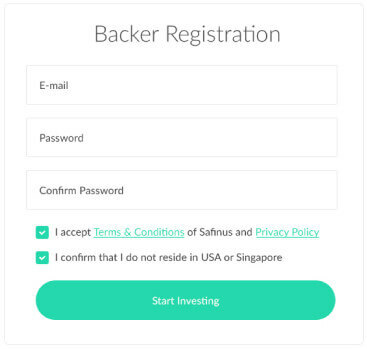 A personal account is created for each joining investor. 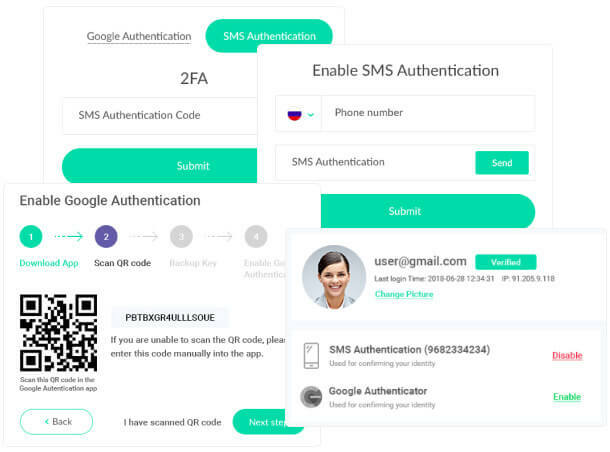 Two-factor authorization (SMS and Google 2FA) can be enabled to provide additional security of the investor’s account. 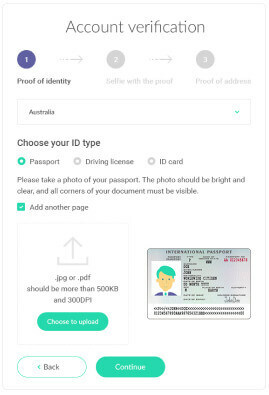 The solution includes integration with Sum&Substance as a KYC service provider (alternatively we can integrate any other KYC provider of your choice). Investors might express their preliminary interest in participating in Tokensale by joining the ICO’s Whitelist. In such a case, they have to indicate an amount they want to invest. 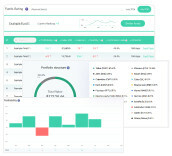 The admin panel provides statistics about the Whitelist members, and an overall amount of their declared investments in each available cryptocurrency. 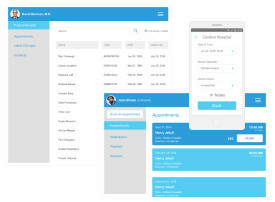 Investor’s profile contains personal information of an investor, such as photo and email. Investors can customize their profile in order to manage their appearance. Information about all user’s logins is displayed on their profile pages, including date, IP address and country of access. 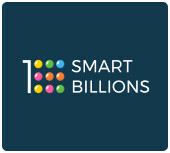 A countdown to the start of the Tokensale, when it has not started yet. 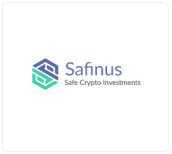 Addresses of specifically assigned cryptowallets, which the investor can deposit into. 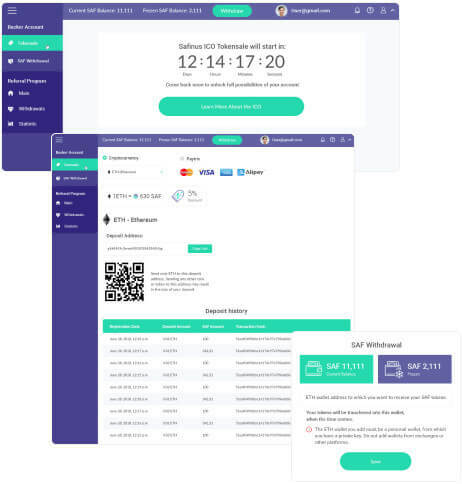 An interface for adding ETH (or other) wallets in order to withdraw acquired tokens. Each investor can participate in a Referral Program to receive additional revenue from referring other investors into joining the ICO. 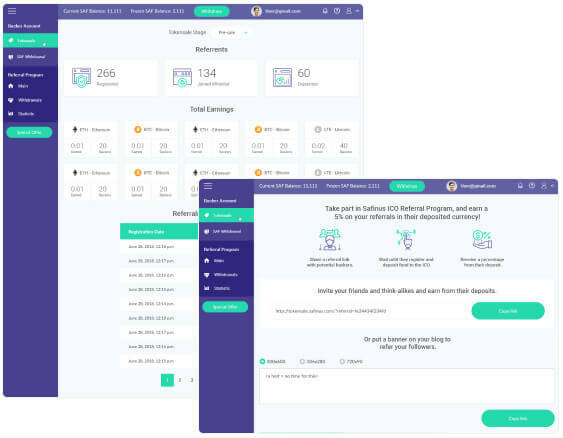 ICO owners can set the Referral Program’s conditions and award the referrers. 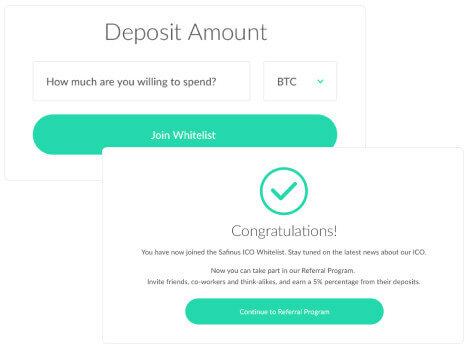 Investors are provided with a personal referral link to share with friends and think-a likes, and are able to see a number of raised investments and referral awards. 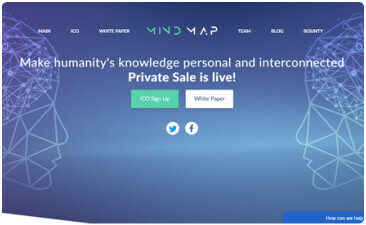 ICO owners can generate special offers to major investors, or investors, who promised a generous investment in the Whitepaper. 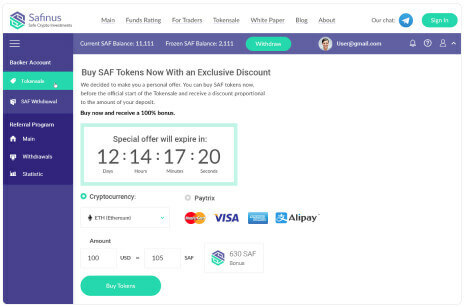 Those investors are then presented with an individual Special Offer page, from which they can purchase tokens and receive bonuses, even before the Tokensale starts. 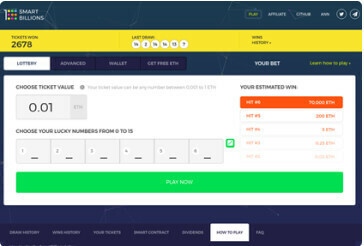 The world’s first fully decentralized and completely transparent Blockchain-lottery, the results of which can be seen in just 45 seconds. 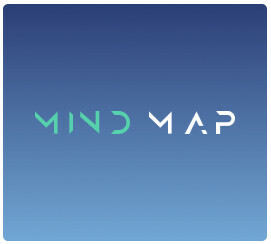 MindMap’s Mission – making tutoring services accessible and lower market-entry barriers, as well as provide tutors and experts with the ability to store obtained knowledge and monetize its use.